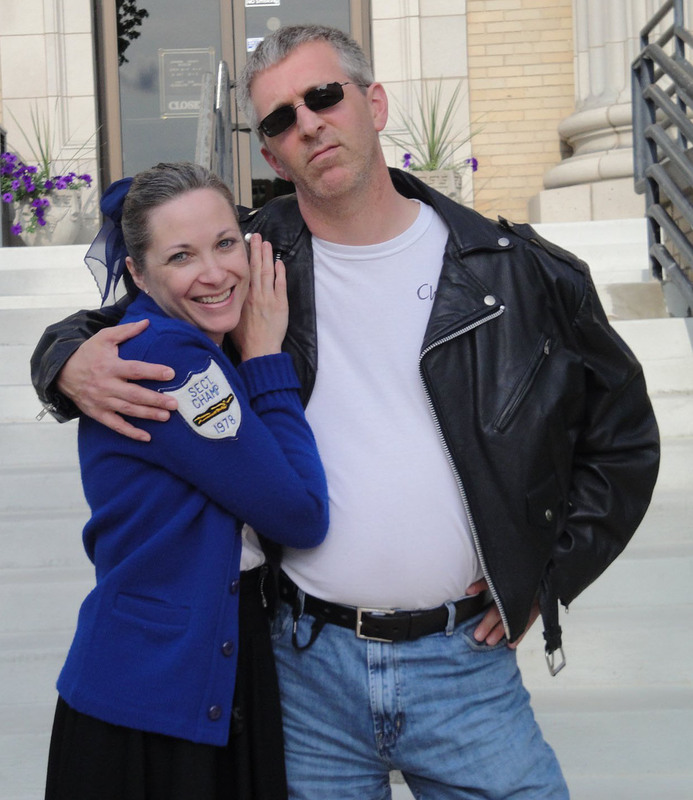 My wife and I before going to see “Grease” at The Historic Artcraft Theatre in Franklin, Indiana. 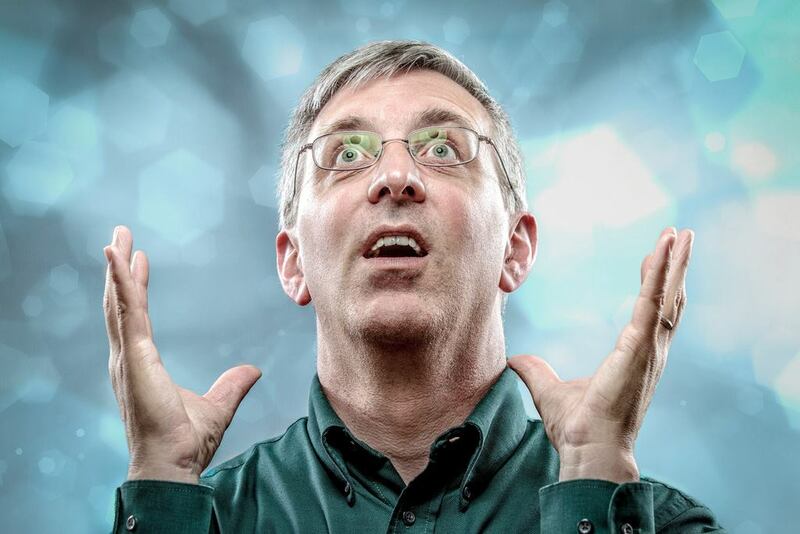 A photo illustration by by high school classmate, Art Mellor, famed Milwaukee photographer. 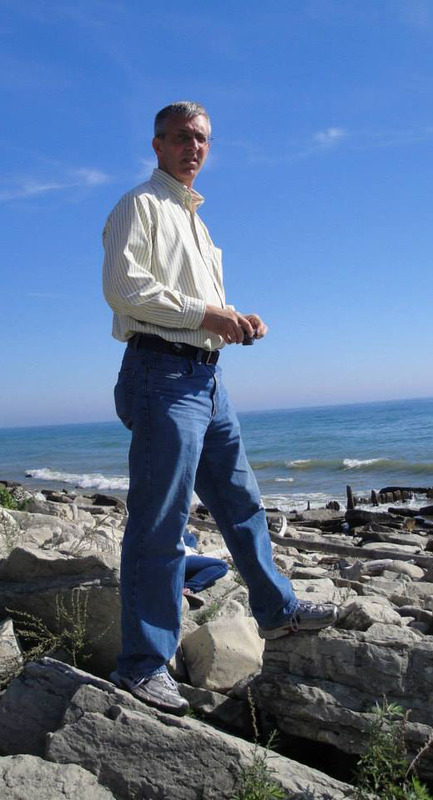 At Bradford Beach, Milwaukee, on the shores of Lake Michigan. 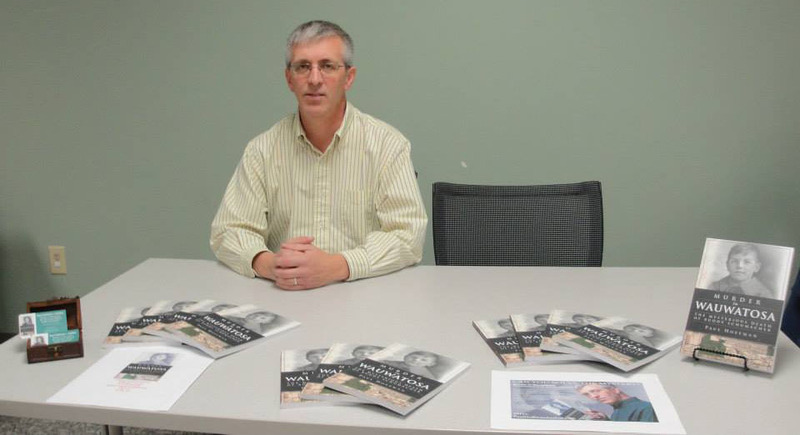 Here I am at my table at the Greenwood (Indiana) Public Library during its Local Author Fair on Nov. 9, 2013. 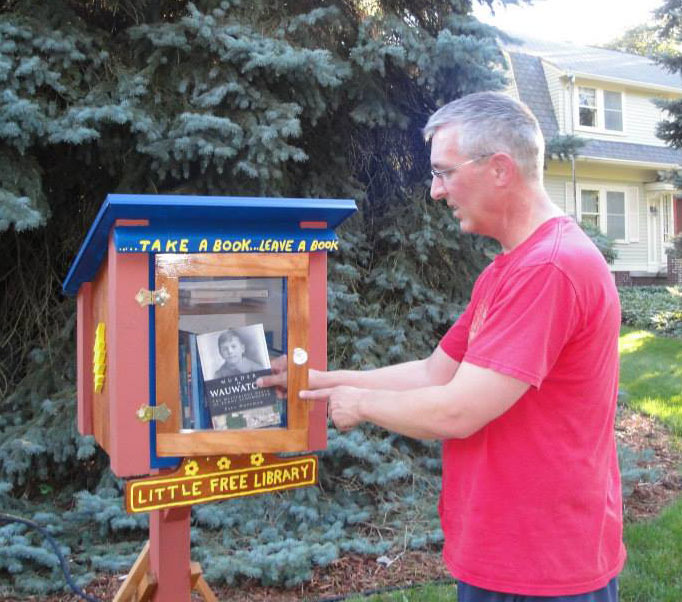 Here I am placing one of my “Murder in Wauwatosa” books in a Free Little Library on Warren Avenue in Wauwatosa this summer. These little libraries are so cool. People come by, pick up a book and leave one.